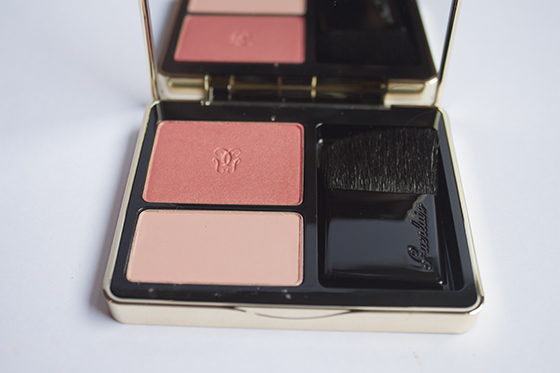 Guerlain Rose Aux Joues Blush Duo in Chic Pink is a gorgeous set of two complimentary blushes, one shade is for a flush of colour and the second is designed for a more scuplted finished. You can use each shade seperatly or mix them together. Chic Pink is a sophisticated pallete of two muted pink tones. The main shade is a deep rose with a subtle golden shimmer, the latter is a matte pale rose pink. I was skeptical that the pale matte shade would work for me, but after Ruby Hammer (!!) said that it would work for me I gave it a test. 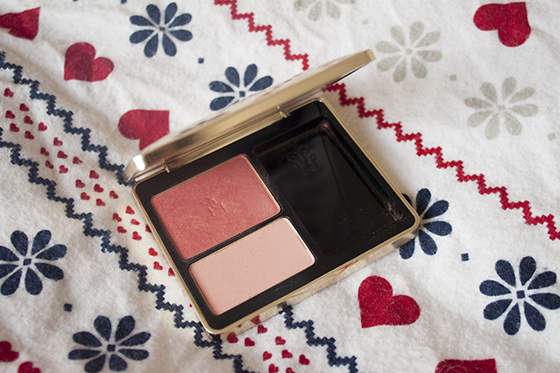 While I do think it's a bit too pale to be worn alone, but when I apply the two blushes together it leaves a wonderful subtle flush of colour on the cheeks. Despite looking quite shimmery in the pan the top shade doesn't look shimmery or golden on the skin at all. It just brightens my face and really makes my eyes pop. 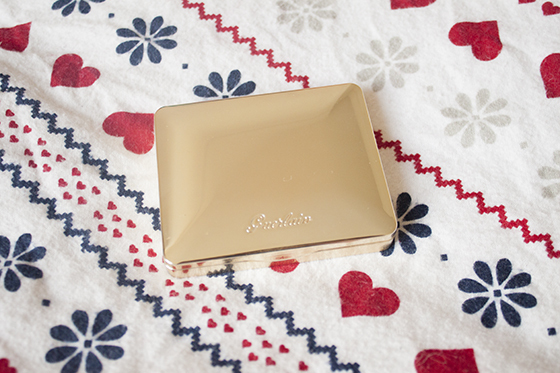 I love the luxe packaging that all Guerlain is housed in, It just feels expensive and fancy and I love applying it. Guerlian isn't a brand I hear about a lot but I would highly recommend this blush if your looking for something to splash out on!